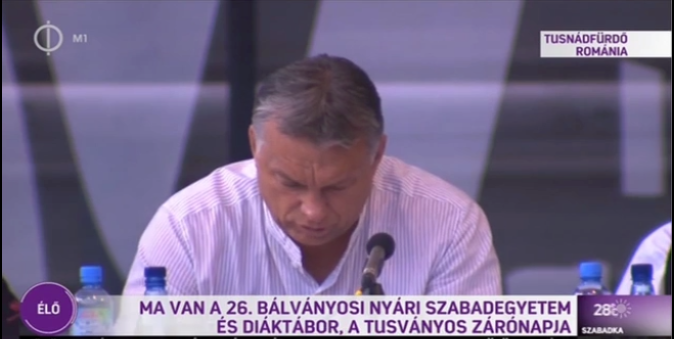 But something has changed: in the past he spoke with easy fluency and conviction, as recently as one year ago when he proclaimed the foundation of the illiberal Hungarian state at the very same event (see Proclamation of the Illiberal Hungarian State); now he is reading his speech, not looking up from the text for long periods of time, pausing, using gestures to channel his thoughts in the prescribed direction. 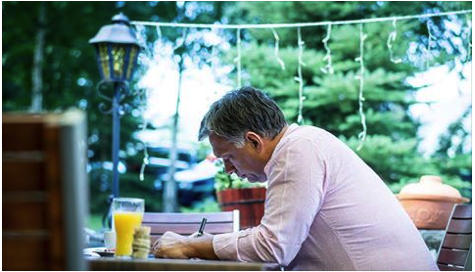 Although he tried to make it look like he was speaking his own words, publishing a photo on his Facebook page showing him sitting with pen in hand next to a coffee and a glass of orange juice with the caption “the speech is done,” it was indeed not him talking on this day, but his political strategists, Habony and Finkelstein, trying to regain the old magic with a new boogeyman which might also be able to put a halt to the steady rise of Jobbik and the radical nationalists. Only one memorable quote from the entire speech, this aimed at domestic political foes rather than refugees: “In 2004 the Hungarian left wing incited hatred against the Hungarians living outside Hungary, while today they would embrace illegal immigrants with open arms. . . . These are the people, these are the politcal officials who simply don’t like Hungarians and the reason they don’t like them is that they are Hungarians” (source in Hungarian). Even in his most mundane speeches his exceptional vigor and intelligence have always shown through. But on this day, billed as one on which he would say something big, he appeared dull, lifeless and lethargic, even somewhat obtuse. An exhausted old political fighter. A spent force. Happy to be done with it (photo: index.hu).